The scientists detailed their findings online June 15 in the journal Nature Physics. A century ago, Einstein's theory of relativity explained that gravity occurred when mass curved the fabric of space and time. If one envisions a bunch of balls on a rubber sheet, the more massive a ball is, the more it dents the rubber around it and pulls other balls closer. One curious consequence of the theory of relativity was time dilation, which means that time moves slower the closer one is to a massive object. Although this effect is small on Earth, it is noticeable. "If you live in a two-story house on the top floor, you will age faster than your neighbor below by about 10 nanoseconds in one year," said quantum physicist Igor Pikovski at the Harvard-Smithsonian Center for Astrophysics. 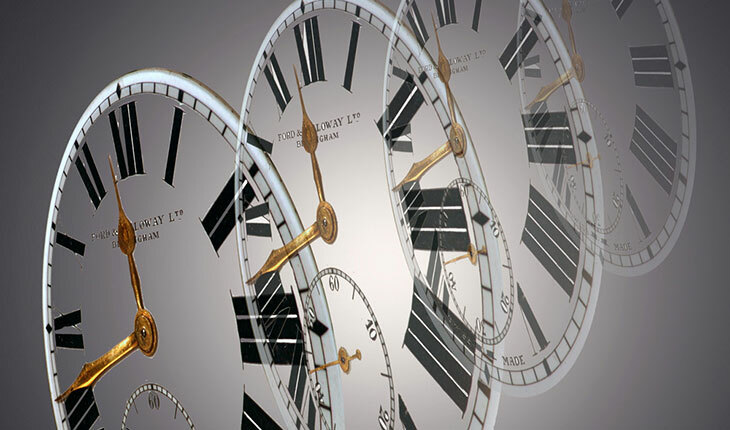 "This tiny effect has actually been confirmed in many experiments with very precise clocks." Pikovski and his colleagues calculated that once small building blocks form bigger composite objects, such as molecules and eventually microbes or dust motes, the time dilation experienced on Earth's surface can suppress superpositions. "It was very exciting to find that Einstein's time dilation can matter," Pikovski said. An object's energy makes it vibrate. According to the laws of quantum physics, when an object is in superposition, all its parts vibrate in synchrony. However, time dilation will cause parts of that object that are at slightly higher altitudes to jitter at different frequencies than parts at slightly lower altitudes, just as a neighbor living in a floor below you will age more slowly than you. The greater the difference in altitude between parts, the greater the mismatch. For a big enough object, the mismatch grows big enough to disrupt superpositions. "I am overjoyed to see any new ideas on the influence of gravity in quantum objects," said experimental physicist Holger Müller at the University of California at Berkeley, who did not take part in this research. To prove this effect occurs, scientists need to create large superposed objects in which they have suppressed every other possible source of decoherence, such as heat. If time dilation can collapse superpositions, then the size limit for a superposed item on Earth should be about a millimeter. Müller said that the creation of such large superposed objects would be very unlikely, since there are many potential sources of decoherence besides time dilation. Pikovski was more optimistic. "In principle, it should be possible to overcome these limitations,” he said. “It’s just a matter of technology.” He pointed out that, thanks to technological advancements for creating superpositions, scientists can now create superpositions in objects that weigh as much as thousands of atoms. These findings suggest that outside of Earth's gravitational field, scientists may be able to see superpositions in objects even larger than a millimeter. "So far, we don't have any good reason to believe that quantum theory breaks down," Pikovski said.